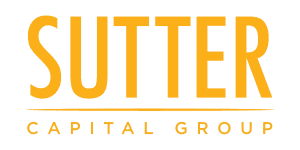 Sutter Capital Group is a privately held commercial real estate investment management firm focused on identifying, acquiring and managing attractive investment opportunities in our native market of Sacramento, CA. Sutter Capital Group’s distinctive investment platform combines institutional investment expertise and discipline with intimate market knowledge, dynamic execution capabilities and entrepreneurial drive. Our core mission is to execute investments that provide optimal risk adjusted returns for our investors who entrust us with their capital. Since inception Sutter Capital Group has invested over $100 million of equity capital in real estate assets across the Sacramento metropolitan region. The firm is a full service, vertically integrated platform handling all aspects of the investment cycle in-house including market research, capital formation, acquisition due diligence in addition to construction and property management. Sutter Capital Group manages its portfolio internally through a wholly owned subsidiary, Hammer Real Estate Group (www.hammerrealestategroup.com) and executes all renovation and construction projects in partnership with a select group of general contractors whom the firm has developed strategic relationships with. We are anchored in the fundamental belief that by being a truly “hands-on” operator focused on our native market, we are strategically positioned to navigate the inherently local and idiosyncratic nature of real estate and continue to consistently drive strong investment performance.